In this programme Ramin Siawash invites authorities, refugees, social activists and supporters. Ramin and his guest talk about their situation, special needs and challenges, unsaid thoughts of refugees and possible ways of solution. The show is in Dari, Pashto, English and German language. Everyone interested who is in touch with refugees can participate in this radio show an speak about his or her experiences. Note: you can listen to SAIA ROSHAN show every Thursday from 05:30 to 06:00 PM in Radio ORANGE 94.0 in Austria. Ramin Siawash, born in 1993 in Kabul/Afghanistan, lives since November 2015 in Austria. 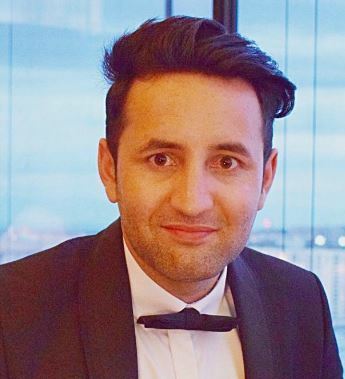 A graduate in business administration, journalism and IT computer science, Ramin Siawash has worked for seven years as a teacher, journalist and media specialist as well as human rights instructor (i.e. the Human Rights Commission of Afghanistan). He is a founder and president of Kara Educational Center in Afghanistan. While in Vienna, he participated as an Afghan journalist in the International Mayor Conference and some other debates on refugees. Ramin Siawash is a host to two weekly radio programms at ORANGE 94.0, the community radio in Vienna.